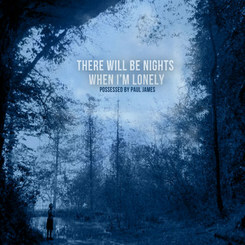 Since Texas-based singer-songwriter Possessed by Paul James released his latest album There Will Be Nights When I’m Lonely out into the big scary world on October 29th, it has been on quite the tear, especially for an artist that up to this point was thought to only be known by a small, but dedicated sect of fans. The album held steady at #2 on Amazon’s Alt-Country/Americana MP3 chart for well over a week after the release, touched the #1 spot Friday night, and has remained in the top 10 since the release. Then this week, he received an email from Billboard informing him that his little independently-released album on Hillgrass Bluebilly Records had made it all the way onto the Americana/Bluegrass chart at #12, in between the latest albums from Old Crow Medicine Show and Noam Pikelny. 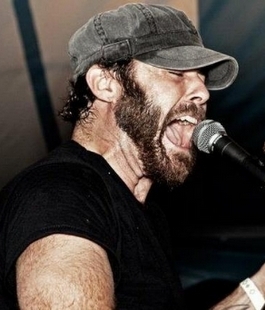 It’s not as if Possessed By Paul James spends his days on the phone doing interviews with radio stations and newspapers, or is out touring non-stop behind the album like many full-time musicians. Leading up to the release and in the weeks after, Possessed by Paul James, whose real name is Konrad Wert, has been busy running a classroom of developmentally-disadvantaged elementary-aged children as a full-time special education teacher—an occupation that has awarded him similar accolades to what he’s receiving in the musical world. Last year, Konrad Wert was named Teacher of the Year for his school, and was awarded a “Golden Apple” award in September as a regional distinction for teachers who excel at their discipline. Even though his music is a part-time pursuit, it receives full-time love when Teacher of the Year Konrad Wert morphs into Billboard-charting Possessed by Paul James. Possessed by Paul James says he didn’t start out to make a breakout album, but if that is what There Will Be Nights When I’m Lonely becomes, he’ll take it. Possessed by Paul James usually performs as a one man band, but There Will Be Nights When I’m Lonely features a full band sound on many tracks, while still respecting his live performance with many stripped-down songs as well. Appearing on the album with Konrad were world-renown steel-guitar player Lloyd Maines, Texas music Hall of Famer and harmonica player Walter Daniels, Cary Ozanian and Darren Sluyter from The Weary Boys, and members of Austin-based band East Cameron Folkcore. Watler Daniels, and Cary and Darren from The Weary Boys joined Possessed by Paul James on stage November 2nd during the CD release party at Antone’s in Austin, TX. Wow! This album is a knock out! It is great to see a truly independent artist break out. In a world of Mumford mania, artists like Possessed By Paul James, and the Devil Makes Three keep string band influenced music honest. This album deserves all the accolades and success it is receiving. I want to say it’s a very accessible album, though that word can have a bit of a bad connotation in underground music and I don’t mean it in that way at all. Maybe “engaging” is a better word. You put the album on and it just immediately grips you and doesn’t let go until the end, and it leaves you wanting to hear it all over again. I honestly can’t imagine anyone with a predilection for this type of music not liking it immensely. Heck, even people who aren’t normally into this type of stuff seem to be responding very favorably to it, judging by the reactions “Songs We Used to Sing” has gotten when I played it for friends. It’s one of my favorites of the year and it came along at just the right time. I can’t get enough of it. KUDOS AND CONGRATULATIONS to Konrad Wert, Paul James and you Triggerman! It warms my skepticle(music industry)heart to see a talented artist get his due “cog”! What if the artist is not a strong writer? What if his/her creativity lies in vocals and/or instrumentation rather than in writing? What if the artist is great at composing melodies but not at writing lyrics, or vice versa? hey amigo, i think that maybe composing melodies could be seen as ‘writing’ melodies, and i’d say ‘sharing’ would encompass that other stuff. i don’t think old boy is trying to put down instrumentalists or singers, hey. from yer comments it sound’s a bit like you don’t really dig PPJ ( i could be wrong), why’s that man? I actually like Paul James quite a lot, including his new album. I just have a kneejerk reaction to the whole idea of “write your own songs” that I see all the time in underground circles, although I am not completely sure if that was the point that Konrad was making here. Not everybody is good at writing whole songs. Some are good at just writing lyrics and not melody, while others are good at just composing melody but not lyrics. Others still are great interpretive vocalists or great instrumentalists, but not strong at writing songs at all. My point is that underground country fans should not use such a one-size-fits-all standard as “write your own songs” when it comes to judging music. yeah righto man, and i agree with you in that i think a lot of powerful music has been made by people who weren’t the original songwriter. and as a tasmanian kid i don’t really know enough about the underground country scene to make any kind of valuable comment. sorry fer making the assumption about your tastes too, hey. Interesting song. In general, though, I dislike songs that preach excessively. Using anecdote is a much more effective method for promoting a point of view. To comment on the song that you posted. Right on! It’s good to see things happen for talented artists. I can’t believe you’re criticizing Konrad for believing education is important. Why would you be anti-education? Who’s criticizing Konrad for saying that education is important? I was making an observation that he connected education with the concept of social change. That is a liberal way of thinking about education. Eric amigo; what we’re trying to convey by using the word ‘social change’ is directed towards the breakdown of intervention with kids in public school. I’m not intending for “the great revolution” rather I’m suggesting that while in the class room we have the greatest opportunity to reach out to children that unfortunately find themselves within the proverbial crack. Now that ‘crack’ has grown, doubled even. Our classroom sizes are larger, our resources are smaller, our state representation continues to dwindle, our students are facing even greater challenges and our overall adult to student ratio isn’t coming close in meeting such needs. Eric I appreciate the dialogue amigo. My concern in all of this is that we’re seeing this across the country, in all states and districts. Social change = Stronger intervention for children in need. Cheers ya’ll. I agree with you, Konrad. Greatly appreciate the hard, crucial work that you do! This is great news. As you’ve said, Trig, it’s a good (or better) year for country music. I was really happy that Sturgill Simpson achieved some measure of breakout success this year and the same seams to be happening for Possessed by Paul James. This is off topic and has nothing to do with country music, but I respect your musical opinion more than most, Trigger, even if I frequently nitpick your statements. I don’t necessarily think that you’ve listened to it (or, for that matter, are even aware of it), but what do you think of Creed frontman Scott Stapp’s new solo album “Proof of Life”? I personally love it, and the reason I thought to ask is because one of the user reviews on iTunes mentioned it being “more country than rock” which is complete ignorance, but it reminded me of your site and theories on the genre. I’m honestly not familiar with the project, but maybe I’ll put an ear on it if I have some time. Please do. I’d love to hear your thoughts on it and who knows, you might be surprised by the music like I was. It’s obviously not relevant enough for an article, but a few sentences would suffice. It’s on Spotify and only runs about 40 minutes for the standard album (I got the Best Buy edition with two bonus tracks), so it shouldn’t take too much time out of your day. Such a nice guy! hung out with him some at roots. he puts his heart and soul into everything he does. Great album! Then again, is it important to make it a big through the “underground” mainstream ? Trigger s promoting good underground bands, so i think talent has got nothing to do with making it “big”. It s more of a question of being at the right place at the right moment. And i don t think making it big is what these guys had in mind when they wrote all those songs, so i m glad for them, but i ll still have an ear out for the others. And still enjoy the more famous, and the less famous.